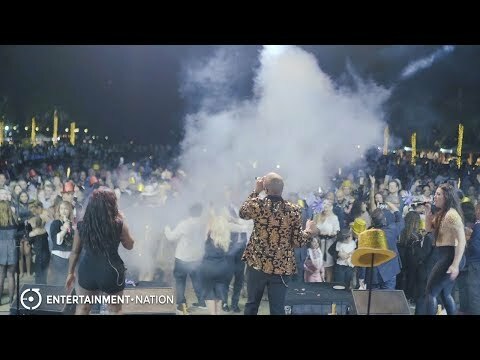 Jam Hot are the high-end, luxury show band taking audiences by storm across the globe. This monster showband is fronted by FOUR of the world's leading vocalists, all powerfully talented and with so much stage presence that they have every audience member stomping on the dance floor, sweating and yelling for more. The rest of the band are literally on fire. With the tightest rhythm section on the planet, blistering guitar solos, jaw-dropping 4 piece horn section and 4 gorgeously elegant strings - this high-energy, choreographed stage show will leave you breathless with awe, they guarantee it! Inspired by the incredible musicianship seen in the world tours of megastars such as JT, Michael Jackson, Beyoncé, Tina Turner and Bruno Mars, Jam Hot's repertoire is made up of specially arranged medleys of the world's greatest Pop, Soul, Dance, Hip Hop, Motown and R'n'B hits, where massive tune flows seamlessly into massive tune, resulting in an electric atmosphere and a packed dance floor! Jam Hot's non-stop, live performance features exhilarating tunes by Stevie Wonder, Justin Timberlake, Taylor Swift, Beyoncé, Tina Turner, Olly Murs, Bruno Mars, Stevie Wonder, Jess Glynne and many more. The stars of Jam Hot are world-class musicians of exceptional pedigree, having appeared alongside huge stars like Emile Sandé, Jess Glynne, George Harrison, UB40, Shola Ama, Rudimental and Tinie Tempah and at huge events like the Brit Awards, the Mercury Music Awards, The British Soap Awards, and the 2012 London Olympics. No strangers to globe-trotting, Jam Hot tour their show all over the world with many appearances in Europe, the Maldives and the UAE. Any and every event is the perfect event for these musicians, whether you need a band for Jewish weddings, corporate events, luxury parties or product launches - they will blow your guests away, without a shadow of a doubt. 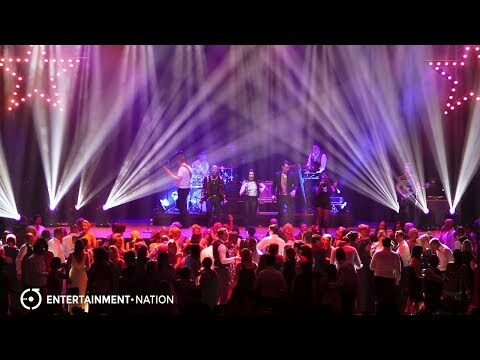 This rich performing heritage combined with degrees from prestigious establishments like LIPA, the London College of Music and the Royal Academy of Music, means Jam Hot have all the knowledge, talent and experience necessary to deliver a jaw-dropping live show that runs seamlessly, again and again. Jam Hot are proud to have built up a solid working relationship with some of the biggest names in the event industry, with repeat bookings a regular occurance from household brands such as Rolls-Royce, ITV, Hewlett Packard Enterprises, Channel 4, Tombola, Marriot & Sheraton Hotels, St. Regis Hotels and PepsiCo. You can rest assured that your event is in trusted, experienced hands! Jam Hot are available in a range of line-ups to suit your venue and budget. As standard, this legendary band appear as an 8-piece, featuring 4 vocalists, guitar, bass, keys and drums. With their standard package comes a state of the art PA system suitable for events of up to 200 guests with dedicated sound engineer (PA upgrades available for larger venues & events) and a stunning lighting package comprising of 4 top of the range moving heads, 2 vertical sweeper beams and par-can spotlights to light the performers. You will also receive a free manned DJ service to keep the party rocking between live sets if you book within 7 days of receiving your quote! For bigger events, the sky is the limit! Take Jam Hot's production to the next level with 'concert' style lighting complete with truss podiums, LED batton wall, staging, LED dance floors and a highly skilled lighting engineer to make the set up look insane. You can even book a separate DJ to really add that extra magic to the evening, as if Jam Hot weren't enough! For the ultimate in luxury live entertainment, you have to hire Jam Hot! This industry-leading band are available to hire for luxury events worldwide. Don't delay: the Jam Hot diary fills up fast. Book Jam Hot now to avoid missing out! 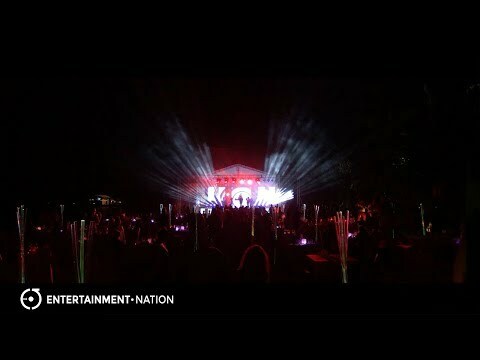 The simplest way to hire bands uk is with Entertainment Nation. Secure and hassle-free wedding band hire, cover band hire and corporate band hire. Prices are based on a 5pm or later arrival and Midnight finish, including 2x60 minute sets of live performance. Approximately 90-120 minutes are required for the band to set up and sound check (depending on access to the performance area). Alternative timings also available. "We saw Jam Hot online through the recommendation of a colleague. Having produced shows for artists such as Elton John, One Direction and alike, I would like to think that I know a good, tight band when I see one. Jam Hot were just as impressive in real life at the event. Friendly, easy to work with and as musicians they were excellent. The two sets they did flowed seamlessly from one floor filler to the next. Choreography amongst the singers and musicians only added to the entertainment value. The end result... We had a very happy client who has already asked for the band to be at their next conference in the summer"
"We just wanted to say thank you from the bottom of our hearts for the best band we could have wished for. We had never met you before, never seen you perform and only booked you based on your promo video online and the 'feeling' that we had about you. You surpassed all of our expectations! The talent that we saw was incredible and you kept the party going all night. The lighting really added to the room and we couldn't have asked for more from you. We wish we could do it all over again. All of our guests loved you too and we will be sure to spread the word of Jam Hot band to all! Thanks again for an amazing night, the newlyweds, Jodie & Sam Popeck xxxx"
"I would like to take this opportunity to express my sincere thanks and appreciation for your excellent performance and the level of professionalism you showed at the event held at the Sheraton Abu Dhabi resort. Your excellent performance has given our guests such an excellent celebration." "I am very happy to supply a testimonial. Although we had obviously presented you with a major task in needing to set up in a fraction of your preferred time, I was impressed by how well the band pulled together and set everything up so quickly. As for the actual performance, the dance floor was full from the moment that you started to play until the moment you finished, so I think that speaks for itself! I have received a number of complimentary comments about the band from guests at the event. The playlist seemed perfect for the event and the interaction with the guests worked really well. I am delighted to say that the funds raised for DEBRA through the event raised just over £75,000. Thank you very much indeed to you, Melissa and the rest of the band for adding that something special to the evening." "Amazing, what more can I say! Just exactly what it says in their profile, stunning singers and the band were incredible too. Thanks so much, you're all amazing!" "When planning our wedding, the one aspect we both agreed had to be perfect was the wedding band. We don't believe we could have found a better band than Jam Hot. From start to finish, the band were professional, friendly and were in regular contact with us and answered every question we had. All members of the band are outstanding musicians and made every song fell like the real thing. The band had so much energy, especially the 4 very talented singers, who got every wedding guest dancing all night long. When we spoke to our wedding guests, the one thing they all commented on was how incredible our band was. We wouldn't hesitate to reccomend Jam Hot, in fact, we will probably go out of our way to do so!" "You were so professional and accommodating the whole way through the booking process (I'm sorry about the 7000 phone calls!) and really made us feel like you wanted us to have the perfect evening-let me tell you that we did. You are the best musicians we've ever seen, and for you to be that good when you were jumping around on the dance floor with our guests (my mum especially loved it when your horn players started a conga during your Michael Jackson medley!) was astonishing. Thank you so much - I can't wait to come and see you at your charity event in December." "Your band Jam Hot were absolutely amazing. They totally blew every expectation we had away. The hotel staff told me they had never seen anything like it and I do hope you keep in contact with them and get lots of referrals. The effort the band made to come down from the stage and engage was brilliant. You, the band and Francesco's crazy sound system really made the wedding. Wish I had a heads up on Anna singing as I had no idea!! That was the ultimate show. Many thanks to you and your amazing band. If you ever need a review or a recommendation please do not hesitate to ask." "Jam Hot are the easiest recommendation I have ever made. Flexible, collaborative and brilliant to do business with come as standard. But all that aside, musically, they are simply incredible. Beyond being entertained, my guests were literally in love with them and the dance floor was on fire. Feedback included comments like 'I'd pay to see them in concert'. I'm already looking for excuses to hire them again. Any doubts, give me a call." "Your name is correct, that was HOT!!! Thank you so much for making our Christmas party this year. It was all a little dull until you took to the stage and then the atmosphere was buzzing. Will not hesitate to recommend you to anyone and everyone that needs entertainment for their do." "I really cannot thank Jam Hot enough. What a fantastic band they are! They really were the cherry on top of the cake at our wedding. Everybody loved them sooo much and couldn't get enough of them. The dance floor was always full and everyone just had the most fantastic time! An easy 5/5 from The newlywed Mr & Mrs Styles"
"Jam Hot made our day at the Roundhouse in Derby. Their performance had the whole venue bouncing. Thanks for all your help"
"We hired Jam Hot for our awards ceremony. The band were AMAZING! Their set had everyone up dancing all night long - even the CEO! They listened to all our requests and made sure the evening was a huge success. We're so glad we hired Jam Hot and wouldn't hesitate to recommend them! 10/5!" "Jam Hot are just what you need if you want an evening of non stop dancing and great music. A fantastic night and we didn't want it to end." "Paul and Jam Hot were an absolute dream to work with. They were professional but warm during all of our pre-event communication. Paul was quick to respond and offer suggestions and was extremely flexible and accommodating. Also, they presented a killer show! Our guests were a mixture of nationalities and their music brought everyone to the dance floor. Also, they didn't just stay on the stage, they were in the crowd bringing the dance floor to us. They were just spectacular. I recommend them highly and would hire them again in a heartbeat." "Congratulation for your performance I've seen many many award winner international bands in all my career but you are the best one." "Simply put, Jam Hot smashed it, the BEST the Maldives has ever had!" "Please do pass on our thanks to Jam Hot. They were a recommendation from one of our guests following our last awards ceremony and they definitely didn't disappoint...they were fantastic and I'd definitely book them again. They had the audience on their feet from the very start and we didn't want them to stop at the end of the evening either - they were just fabulous! - Slimming World"
"Jam Hot were truly incredible. We were lucky enough that Jam Hot were free to play at our wedding, and they made the wedding. The entire band is immensely talented, professional and friendly. Paul was the personification of professional - answered emails and took calls at all hours, no matter how silly the request may have been. The band kindly learned new songs for our first dance, as well as for the rest of the performance, and these renditions were simply magical. In my experience, there have been very few weddings where the dance floor is full at the end of night - at our wedding, the dancefloor remained packed until the band stopped at 1.30am (which was also way later than was expected and very generous). My wife and I (and all the guests) loved the band members getting involved on the dance floor - I will always remember the saxophonist belting out Sky Full of Stars in the middle of the dancefloor! The singers, the musicians, the technicians are all phenomenal, and we can't thank them enough..."
"I'm sorry it's taken a few weeks to send this through, but as you may remember, Mark and I went straight to the airport after the wedding and we only got back yesterday. Well what can we say - OH MY GOSH JAM HOT!!! We literally cannot believe how amazing you were and have not stopped talking about you ever since, we've received so many messages from our guests saying that it was the best wedding they've ever been to and you absolutely made the night into a party none of us will ever forget. We'd go as far as saying you made the wedding!" "We discovered Jam Hot on a wedding blog. We wanted to find something different to the half a dozen bands that we had seen at countless other weddings; something more unique and current and, after checking out their amazing videos online, we got in touch to see if they were available for our date. From the first phone call we were immediately drawn in by Paul's warm and professional approach, we felt reassured that using them would mean we were in expert hands and that they would help make our wedding an amazing party. We were not disappointed. Paul, Melissa and the band put on the most phenomenal show. They are so so talented, so energetic plus they have some fantastic set lists to choose from. Our guests absolutely loved it and it showed - the dance floor was full all night...All in all we would recommend Jam Hot in a heartbeat. They were an absolute pleasure to work with from start to finish and it's safe to say our wedding would not have been the same without them and their energy." "Wow oh wow I can't quite believe what a fabulous party we had on Friday - and you guys were bloody brilliant. Thanks you so much for travelling to Jersey and making our night totally amazing, the comments re Jam Hot were incredible, everyone loved you. Sorry I didn't get to speak to you, but it all went in such a whirl - sign of a good time I guess. We will meet again no doubt about it, but in the meantime thank you, and all the very talented musicians/singers involved in the band. You made it even more a night to remember for ever!" "We knew the band were going to be great! However, we had no idea that they were going to be so much better than we could have hoped for!!!! They had everyone up dancing from the second they took to the stage until the end of the night. The mix of music appealed to everyone, and the crowd really loved every minute... thanks so much for making this so special.We knew the band were going to be great! However, we had no idea that they were going to be so much better than we could have hoped for!!!! They had everyone up dancing from the second they took to the stage until the end of the night. The mix of music appealed to everyone, and the crowd really loved every minute... thanks so much for making this so special." "Jam hot did an excellent job at my wedding. A perfectly judged performance, really engaged with our guests and filled the dance floor. Highly recommended. 5 out of 5"
"I just wanted to send a huge thank you for organising Jam Hot for the 77th Members' Meeting Party - they were a huge hit! Please can you pass on my thanks to the band. Jam Hot were a huge success - everyone was talking about them throughout the evening. The music was amazing, they were great to work with and their performances were high energy with song choices that were perfect for the crowd. They were brilliant! Thanks for all of your help in the build up and hopefully we can get in contact shortly about 2020."